" I'm excited to have found this site it's going into my favorites." Dr. Schaeffer's sweeping epic on the rise and decline of Western thought and Culture. After 40 years of intense study and world-wide ministry, Dr. Francis Schaeffer completed his crowning work of scholarship-to present profound truths in simple film language. 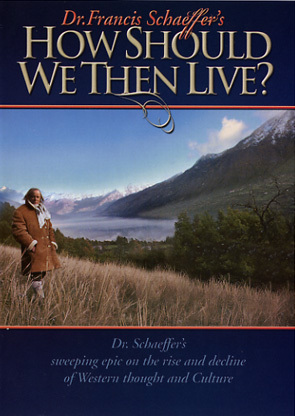 Dr. Schaeffer's brilliant analysis of the past and predictions for current trends have proven so uncannily accurate that this amazing series still feels contemporary almost three decades after its initial release. Ultimately, Schaeffer concludes that man's only hope is a return to God's biblical absolute, the truth revealed in Christ through the Scriptures. Available for the first time on DVD, this documentary spectacular also includes intimate in-depth conversations with Francis and Edith Schaeffer. With the on-disc Study Guide, this presentation forms a unique course of comprehensive study. While this series forms an innovative analysis of the past, this outstanding work is more than history. Each episode focuses on a significant era, yet speaks clearly to 21st Century man with answers for modern problems. Format: DVD (2 Discs) Region 0 What's a Region Code? Cory had a problem with bullies... so he told them his dad was in the mob... now his dad has the problem! What God is doing through believers in Israel! George Beverly Shea's deep resonant voice has sung hope into the lives of hundreds of millions of people throughout his long and legendary career. God Has Placed before You and Open Door. What Will You Do? How Do We Know the Bible is True? is an essential primer of basic Christianity and apologetics every believer should know. This proved to be very good and better than Part One. How should we Live Parts 1 and 2 were both excellent. After renting the first part I had thought it was an older production and needed to be updated but after viewing part 2 I realized how very valid the content still was. I would recommend both of these DVD's as pertinent and necessary for anyone who is wondering about tomorrow and what will happen if society continues to follow the present course. I wish everyone could have viewed these when they were first released. They definitely predict the future if we continue to substitute individual values over Biblical principles.